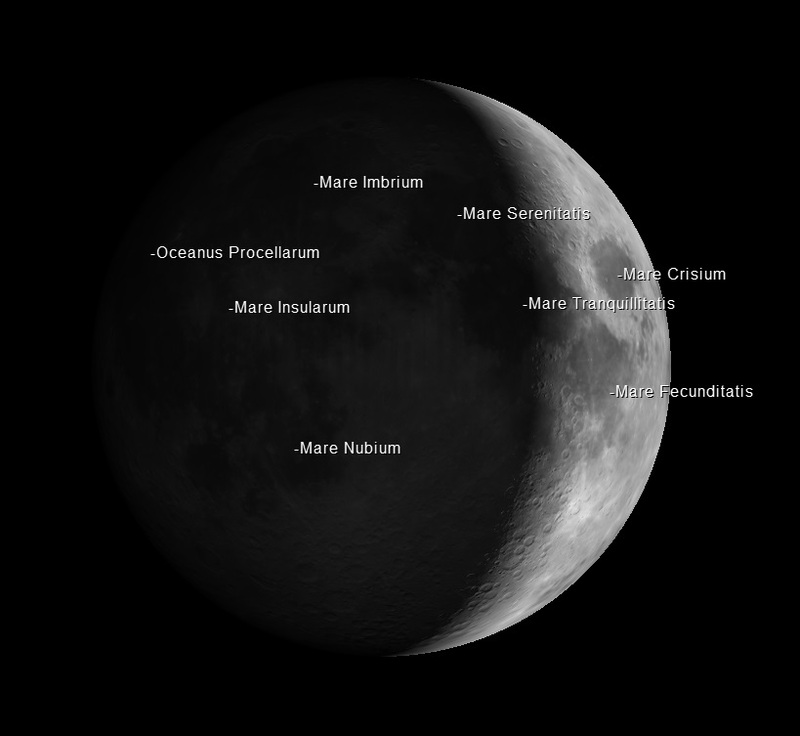 The Moon: will be 27° high in the SW at 9pm, and 23% illuminated (Waxing Crescent phase). Planets: Jupiter will be 20° high in the SE at 9pm. By 10:30pm Saturn will be 17° high in the SE, still low in the sky, but it’s rings would be visible with a telescope set up outside of the observatory. 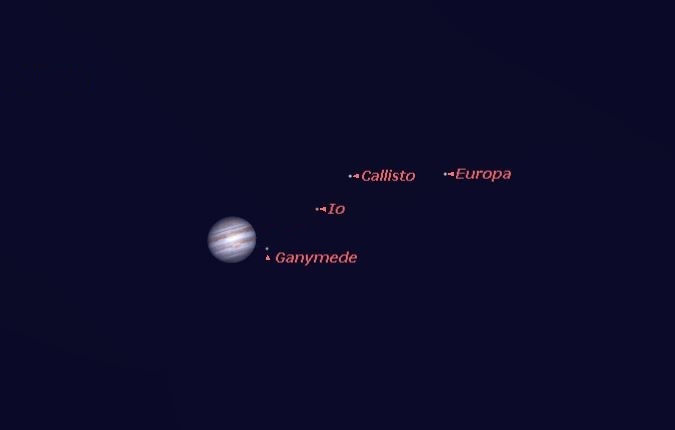 The position of Jupiter’s major satellites at 10pm are shown below.